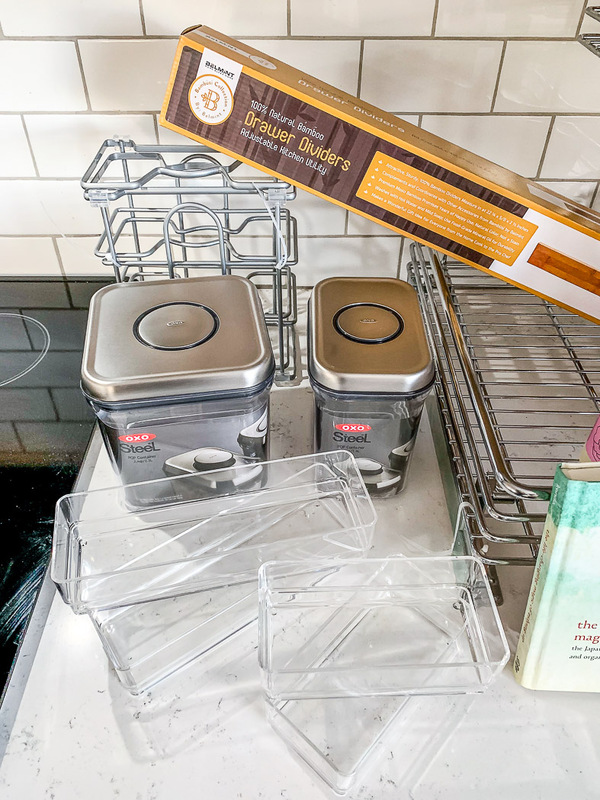 Win this fabulous giveaway and go crazy organizing your kitchen! As usually, I polled you all (on Instagram) a week or two ago. And once again, I thank you so much for your input! The most popular giveaway you wanted was tools to help your get organized. 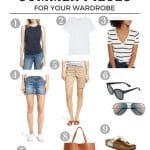 So I have the ultimate organizing package for you this month which includes: The Life-Changing Magic of Tidying Up, 2 Steel Oxo Pop Containers (1.5 Qt and 2.4 Qt), a 2-pack set organizing rack holder, 6-piece clear plastic drawer organizers, 4 bamboo drawer dividers, a sliding under sink organizer, and last but definitely not least– a Mrs. Meyer’s dish soap and surface spray (both in Peony). 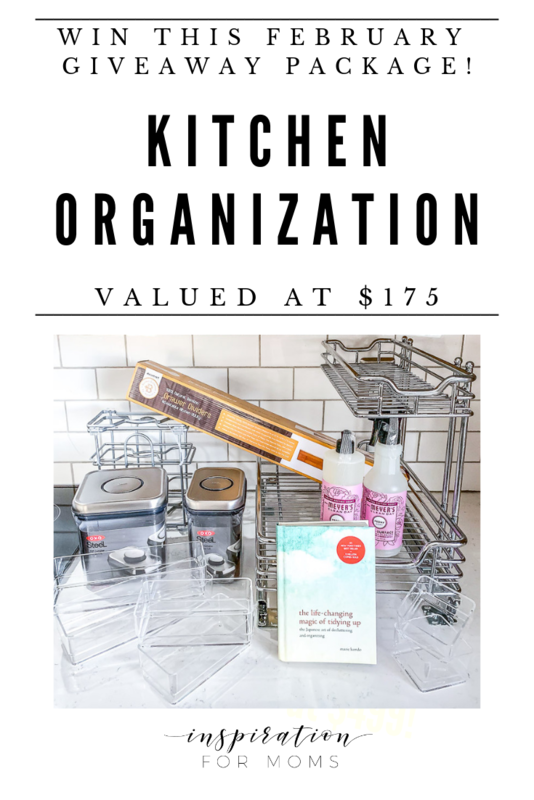 This organizing giveaway package is valued over $175! SO NOW, HERE COMES THE FUN PART! I AM SO EXCITED TO GIVEAWAY ALL THESE ORGANIZING ITEMS FOR SOMEONE ELSE TO ENJOY AND ORGANIZE THEIR HOME! What an awesome giveaway! Every room in in my house needs help, but the kitchen is screaming foe help! I think our entire house needs to be more organized. I guess if I had to chose one room I would say either the kitchen or our bedroom. I would love a little more organization in my kitchen and linen closet. Right now the space that needs organization the most is my tool closet. Which is just a small pantry with shelves that we keep tools and household repair stuff in. Everything is just thrown in and we can’t find anything. This weekend we bought a wrench even though we know we own two. BUT couldn’t find them. BUT for whole room would be the kitchen. Great giveaway! I’ve been working on organization and this is very inspiring! Our garage needs the most organization right now! The living room needs it the most. The garage is the most disorganized. My office and my basement. Those two rooms seem to be the catch all! My kitchen needs the most organization right now. 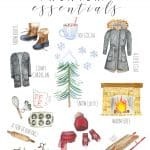 I love this giveaway – right up my alley! Our garage is definitely in most need of organization around here! But we’re getting our kitchen cabinets painted in a few weeks so I am thinking about make some organizational changes in there since I’ll have to pull everything out! My kitchen needs the most organization. The play room my 4 kids share needs the most help! My kitchen! The Pantry and cabinets are in need of some organizing racks, etc! My kitchen needs organization for sure. My kitchen! We are planning on knocking out a wall to expand our kitchen in the next couple of years but for now, my cabinet space is very limited. Thank you so much for all the helpful tips…. and the opportunity to win such an amazing prize. I need help in my kitchen and in my den. Right now my office and bedroom need organizational help! Too much paper and other office issues have run themselves into my bedroom! My daughter’s play room definitely needs some organization. Toys, art stuff and other random things everywhere. Not really a room but my upstairs hallway closet needs some major organization. It is filled with health and beauty items and cleaning supplies and extra linens, etc.. and it’s a mess. My kitchen needs desperate orginizing right now! I need this in my life! I would say my kitchen could use some organizing as well as the linen closet. Thanks for the opportunity! Honestly I couldn’t tell you which room needs the most organization. My whole house needs it!! The kitchen needs the most help, without a doubt! I need to organize my kitchen. I have much that I do not use and I am not even sure of what I have! My bedroom is in need of some major organizing. Especially the closet. Its a mess. 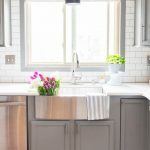 Oh my kitchen needs organization right now we brought the house last year and I still don’t have stuff the way I want it ugh….this is a awesome giveaway thanks for a chance. Probably the bathroom.. also the living room. Although every room could use better organization, I think the kitchen could use it the most! Right now my kitchen needs the most organizing! Our kitchen definitely needs an organization overhaul! Thanks for the chance to win! It’s always the kitchen – we have four “cooks” – lol. My bathroom and kitchen needs some organizing! I need to tidy my husbands work shop. It is a disaster. He is always looking for tools etc. I think all of your posts are inspiring, but these giveaways are fun, too. I have been on an organization kick lately and the next room that definitely needs to be tackled is our laundry room! My kitchen needs the most organization at this time. My kitchen definitely needs to be organized better! We live in an RV and it would definitely be my kitchen area. My kitchen pantry needs some organization! I love to cook but I won’t do it unless my kitchen is completely organized. Thanks for the opportunity! Thank you for this giveaway, and thank you for your great blog. I’m getting married in April and I would LOVE this for my new kitchen! 😍 Organization is where it’s at. Help!!! My kitchen needs organized! My kitchen currently needs the most help! We cook at home most nights of the week and we have so many different kitchen gadgets, tools, and devices. Six years after retirement from the military and living around the world, I still have unpacked boxes in the garage. It’s a toss-up with so much of our home needing to be tackled, but I’m gonna go with our garage needing the most help. What a great giveaway! I have such a small kitchen that is always disorganized. I love to cook and bake and when I can’t find something I know I have, it can get so frustrating. 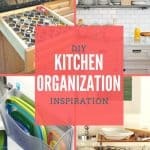 I would love to win your organizational tools so that I can get my kitchen finally organized. Thank you for such a nice opportunity to win these lovely organizational tools! What a great giveaway! I love it! Thank you! My kitchen definitely needs some organization. I could really use this. Our bathroom could use the most organization. My bedroom needs the most organization. Wow! All of these cool prodcuts would really make my life easier when upacking groceries and doing my spring cleaning soon! my pantry is really small, so I struggle to find room. I really need this to help me get more organized. My kitchen, complete with original, awkward sized cabinets and crazy deep but narrow pantry desperately needs to be organized!! Our kitchen definitely needs the most organizing. My laundry room needs to be organized. While there isn’t a room in my house that DOESN’T need organizing, I’ve been working on my kitchen and would love these items to help with that. Next up is my TV room (formerly my daughter’s play room) and my laundry room. I would like to reorganize my living room because, I don’t have enough space. My kitchen needs the most organization right now. It’s a hot mess! My whole house needs organization, but I’d say my bedroom needs it the most. You can not underestimate the time savings when you are organized. I will say that every single item in this giveaway, I would use. All good stuff! My bedroom is in definite need of some TLC…it’s the catch-all room. I don’t even know where to begin organizing it. Great prizes. Would love to win them. This is a brilliant organizing package! My kitchen needs the most help! I have a big, open, disorganized cavern under the sink and that sliding rack looks amazing. I definitely need to tackle my kitchen first. A little organization there would just make my life so much easier. My kitchen and office need the most organizing. Organization was never my strong suit, I could use all the help I can get. Could use a little organization in my kitchen. My kitchen is small and needs organization because I have too much stuff! The bedrooms and the office probably need the most organizing. I live in a relatively small townhouse and well I could use help in all the rooms but I would say mainly the guest room and the kitchen are the main disaster areas. My kitchen pantry is out of control. Thanks for the fabulous giveaway! My bedroom,hubbys side of the room! My kitchen could use the most help. My bathroom needs to be organized. There is very little space and only one vanity that could use some organizing tools. I need to organize my kitchen the most. The kids playroom needs organization! My bedroom is a disaster area. It needs so much organization. I would love for my kitchen to be better organized, especially the pantry. I want to say just my bedroom, but every room needs a little TLC. My whole house needs more organization, but I think my bedroom needs it most. My living room definitely needs to be organized since its the busiest room in the house! Definitely the bedrooms…There’s just so much STUFF, it’s crazy! My craft room is a nightmare right now! I need help organizing my kitchen! I think the kitchen as there isn’t much cupboard space. Older home they didn’t plan well. My closet needs the most organization right now. You’re such a great inspirtation! Thanks for all you do, and for this great opportunity! My kitchen definitely needs the most organization. My home “office” is in desperate need of organizing! I need to organize my pantry. My kitchen is out of control! That’s so awesome! Such a good idea! I love the rolling shelf! Our garage is a big mess. My garage and basement utility room need the most organization but then that’s because they are my husband’s territory. I’m pretty organized. My bedroom needs the most organization. It is cluttered, but I need it to be decluttered so I can actually relax! My spare bedroom needs the most organization because I throw everything in there and shut the door. I need this organization for my poor undersink area. I was just under there to get my stainless steel cleaner and basically took everything out to find it. HELP! My kitchen is in serious need of reorganization. My bathroom – I have NO room, so what little I do have needs to be organized! Definitely the kitchen – it’s small so organization is imperative. 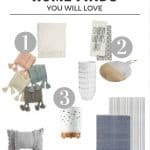 I love organization and everything included in this giveaway!!! Great organization under your sink. I am always interested in organization. My closet needs help. Thanks for any tips on how to organize it and keep it that way. Under the kitchen sink needs organization in my kitchen, my master bathroom need some organization too. Love reading your inspirational blog. What a great giveaway. I had just been down there and wondering what to do with all that stuff. Maybe I will win. Thank you for the chance. My kitchen probably needs the most organization. I do not have enough storage! My garage and basement are very messy and need organizing! The entire house unfortunately. We are in the process of moving so it will be madness on the other end in a few weeks as well but we will have a lot more kitchen space but less closet space in the bedrooms so I’m anticipating closets will need the most organizational help. My kitchen could definitely use some organization. The cupboards and drawers are filled with junk. My storage room needs help. I would have to say that my biggest need room would be a tie between my kitchen and my guest room which tends to be more of a storage room. MY LIVING ROOM AND THEN MY KITCHEN. I would say the dining room forsure..
My office/guest room could really use some organizational help! More like what room doesn’t need it. I need help with organizing my kitchen, my bathroom and the living room most. Heck of a giveaway. What fun! I am in desperate need of a solution for my deep pantry with no pull out drawers. I can’t add them because I’m renting. Everything in the back is too hard to reach. I need to organize my kitchen, I have minimal counter space, so it looks cluttered. My basement needs the most organization. My kitchen is by far the most out-of-organized room in my home and does need the most help to function efficiently. Our garage needs the most organization. My pantry could use a face lift. It’s small and dark and things get lost easily. Good items. I hope I win. Our storage room needs to be reorganized and definitely need to clean out what is actually a bedroom downstairs that has turned into a dumping ground! Our kitchen would benefit from being more organized so these products would sure help! My bedroom needs the most organization. I have way to many books. My kitchen is the next place that needs organization! My children’s playroom and my kitchen need organizing. This is an incredible package! 😍 My kitchen definitely needs the most organization right now! I’ve been trying to figure out how to utilize very limited space more efficiently so that everything is easy to reach/see rather than pushed back into hard to reach places. My kitchen definitely needs some work. My kitchen needs the most organization. It is the hub of our home where we spend the most time together as a family. Every room needs help but the kitchen needs it most. My living/game room definitely needs help. The ” spare room ” has become the “catch all” room. It needs help, driving me bananas. My kitchen is always game for some new organization! Good luck to everyone! My kitchen definitely could use an overhaul of organization.